American children today spend 90 percent less time playing outdoors than their parents did; instead, they spend an average of 7 hours a day interacting with a screen. Scott Sampson asserts that not only does exposure to nature help relieve stress, depression, and attention deficits, it also reduces bullying and helps boost academic scores. Even more important are the long-term benefits linked to cognitive, emotional, and moral development. 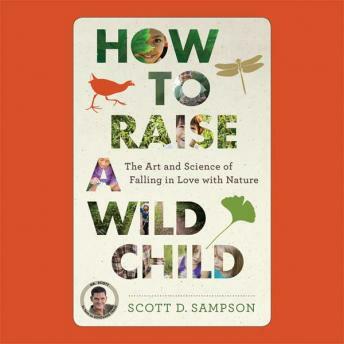 Distilling the latest research in disciplines such as psychology, neuroscience, biology, and education, Sampson reveals how parents and educators can help kids fall in love with nature and instill a sense of place that will help keep the planet healthy. Scott Sampson, a dinosaur paleontologist and VP of research and collections at the Denver Museum of Nature & Science, is also know to millions of children and parents as 'Dr. Scott the paleontologist' on the PBS kids series Dinosaur Train.